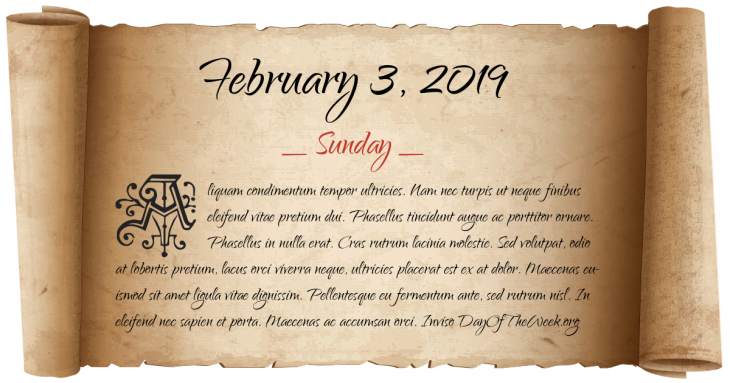 What Day Of The Week Was February 3? Justo José de Urquiza defeats Juan Manuel de Rosas at the Battle of Caseros. The Fifteenth Amendment to the United States Constitution is ratified, guaranteeing voting rights to citizens regardless of race. The USAT Dorchester is sunk by a German U-boat. Only 230 of 902 men aboard survived. The Chapel of the Four Chaplains, dedicated by President Harry Truman, is one of many memorials established to commemorate the Four Chaplains story. The lowest temperature in North America is recorded in Snag, Yukon. New Year’s Day in Chinese calendar. Start of the year of the Metal Rabbit in Chinese astrology. Who were born on February 3?